The National Association for Home Care & Hospice (NAHC) held a conference call revealing a frantic final week of advocacy activity before Congress takes its holiday recess until the New Year. The major part of that activity for home health agencies centered around the attempt to delay the impacts of Medicare “rebasing” cuts through an amendment to the Medicare Sustainable Growth Rate (SGR) fix – also known as the physician fix. Senator Debbie Stabenow (D-MI) offered an amendment on behalf of home care that would delay the cuts for one full year and give the industry the chance to lobby CMS to change their methodology with more updated and accurate data. Unfortunately, part of the compromise of the short -term physician fix was that it was a “clean” bill, which means no outside amendments. According to NAHC, even the hospital industry had amendments that were proposed and then withdrawn because of that agreement between Democrats and Republicans. The short-term SGR fix will last for three months and must be offset by $7 billion. The good news there is that none of the offset is coming from the home health industry. Some of the hit is being hit is being absorbed by cuts to Long Term Care Hospitals and Disproportionate Share Hospital rates, but copays and additional reductions for home care were avoided. The light at the end of the tunnel comes from the fact that the Senate is working on a permanent SGR fix and the Stabenow amendment will still be in play for that effort. In addition, NAHC was successful in getting language from the FITT Act into the Senate’s proposal. The FITT Act essentially establishes a national pilot program for home-based telemonitoring provided by home health agencies. It will not be straight reimbursement, but is meant to be a shared savings approach where the providers and Medicare will share in any efficiencies gained. Moreover, if the program is successful, NAHC indicated that the program could be expanded by Medicare without going back to Congress for approval since it is a pilot and not a demonstration. In terms of hospice care, NAHC also reported that another amendment would allow physician’s assistants to serve as the attending physician for hospice patients. All of these wheels will be in motion in the New Year, but the main idea is that Democrats and Republicans compromised on a two-year deal that keeps the federal government running and it was done without implementing co-payments for home care. The 2% sequester cuts are extended for an additional two years, but those are not “new” cuts and are simply to make the budget scoring work. By the time the extended years are reached, the sequester could potentially be a thing of the past. The Home Care Alliance thanks agencies for sending nearly 200 messages to the Massachusetts Congressional Delegation in two days. That education and advocacy will be critical as we move forward to fight rebasing in the New Year. Of course, further information will be provided as it becomes available. The Home Care Alliance and member agencies will join other associations and agencies from across the country for the annual NAHC March on Washington. The annual conference provides a chance to lobby members of Congress on issues of concern and thank those who have supported our causes. For those who are not traveling to Washington DC, the Alliance has made materials available (see below) to use as a guide for a “virtual lobby day” on March 27th when HCA and members visit with the state’s congressional delegation. Pre-written advocacy messages are available to send off on the virtual lobby day under “Federal/National Issues” on the Alliance’s Legislative Action Center and click any messages that are of concern or interest. The messages will automatically be sent to the correct member of Congress once the online form is filled out asking for contact information. There is also an option to “compose your own message” near the top of that webpage. federal representatives by phone, the Alliance has assembled the following materials and fact sheets on some of home care’s priorities, but we invite you to share your own issues and concerns as well. Finally, be sure to follow the Alliance’s activity in DC, including photos and updates, on Twitter. 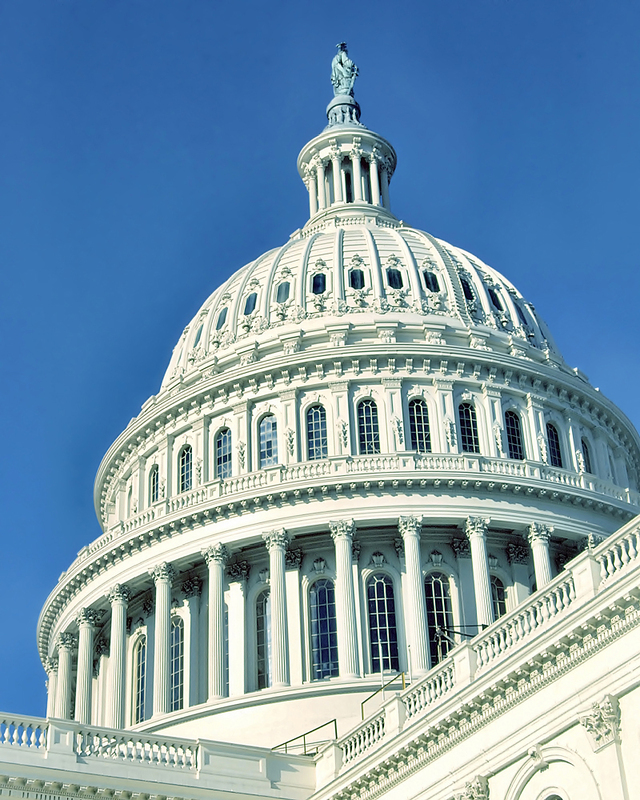 House and Senate leaders have agreed on legislation to be voted on by their respective colleagues that delays a cut to Medicare fees to physicians. By passing that legislation, physicians will avoid a 27 percent cut for another 10 months, the payroll tax holiday will be extended for one year, and unemployment insurance will be extended. According to the National Association for Home Care & Hospice, the physician fix has to be offset, but the proposal does not include any cuts to home care or hospice and does not include any home care copay. What it does include is cutting Medicare bad debt payments for hospitals and nursing homes by about $6.9 billion over ten years; cutting clinical lab payments by $2.7 billion; rebasing Medicaid Disproportionate Share Hospital payments to save more than $4 billion; cutting the Affordable Care Act (ACA) prevention fund by $5 billion; and eliminating extra federal money provided by the ACA to Louisiana Medicaid, saving $2.5 billion. As reported in a previous newsfeed post, the President’s proposed budget does include home care cuts and copays, which, if approved, would come on top of scheduled cuts from the affordable care act and a 2% cut from the federal budget sequestration process. Both the House and Senate are expected to pass the deal today (Friday, February 17) and the President will sign the bill into law as soon as it reaches his desk. For more information on the “physician fix” and payroll tax legislation, see stories from the Associated Press, CNN, and USA Today. President Barack Obama released his proposal for the Fiscal Year 2013 Federal Budget with a scaled back version of copayments for home health care as well as payment adjustments for all post-acute providers. According to the President’s proposal, a home health copayment of $100 per home health episode would be established and would be applicable for episodes with five or more visits not preceded by a hospital or other inpatient post-acute care stay. This, the budget narrative continues, would ap­ply to new beneficiaries beginning in 2017. The President’s budget notes that this is consistent with a MedPAC recom­mendation to establish a per episode copayment, although MedPAC had recommended a more severe copayment of $150 per episode. MedPAC’s recommnedation cited by the President’s budget team noted that “beneficiaries without a prior hospitalization account for a rising share of epi­sodes” and that “adding beneficiary cost sharing for home health care could be an additional mea­sure to encourage appropriate use of home health services.” This proposal is estimated to save approximately $350 million over 10 years. According to the National Association for Home Care & Hospice (NAHC), the President’s Budget also includes a reduced Market Basket Index (inflation) update from 2014 to 2021. The proposed update reductions of 1.1 percentage points each year affect all post-acute providers. These reductions, NAHC states, would be in addition to the 2014 home health rate rebasing and the productivity adjustments starting in 2015. The President estimates this measure will save $63 billion over ten years taking into account the other adjustments for all post acute providers. Additionally, the Independent Payment Advisory Board (IPAB), which was initially established in the Affordable Care Act, will be strengthened under the President’s budget proposal. The group is charged with keeping Medicare solvent by enacting cost-saving measures if Medicare spending exceeds certain levels. The President’s proposal essentially lowers those spending triggers. Direct States to track high prescribers and utiliz­ers of prescription drugs in Medicaid to identify aberrant billing and prescribing patterns; and af­firm Medicaid’s position as a payer of last resort by removing exceptions to the requirement that State Medicaid agencies reject medical claims when another entity is legally liable to pay the claim. Alleviate State program integrity reporting requirements by consolidating redundant error rate measure­ment programs to create a streamlined audit program with meaningful outcomes, while main­taining the Federal and State’s government abil­ity to identify and address improper Medicaid payments. Finally, the President’s budget makes a commitment to follow through on the Department of Labor’s proposed rule on removing the so-called “companionship exemption” for allowing overtime and minimum wage protections. For more information, view the President’s budget proposal here.